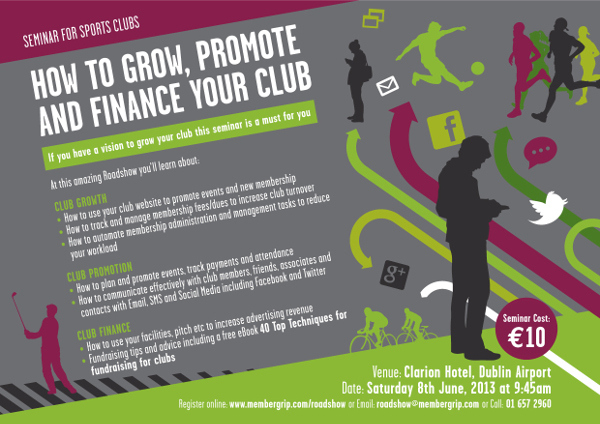 How to Grow, Promote and Finance your Club : Seminar for Sports Clubs. How to Grow, Promote and Finance your Club. How to use your club website to promote events and new membership. How to track and manage membership dues to increase club turnover. How to automate membership management tasks to improve communication and efficiency. How to plan and promote events, track payments and attendance. How to communicate effectively with club members, friends/associates/contacts with email, SMS amd Social Media including Facebook and Twitter. How to use your facilities, pitch etc to increase advertising revenue. 40 Top Techniques for fundraising, including applying for grants. 10:20 How to improve your club finances. Damian Scattergood is an entrepreneur and writer. He is a director of a number of companies/sports clubs. (Star Translation, memberGRIP.com, Ratoath Tennis Club). He has been involved in a variety of start-up organizations implementing growth and funding strategies. He was the founding chairman of Ratoath Tennis Club, which raised over €200,000 to build a brand new tennis club from a green field site. Founder & Managing Director of GRIP Software Solutions developers of memberGRIP the membership management system. Jaroslaw is an experienced entrepreneur and the President of the Society Toastmasters Club. He has a wealth of experience in building secure online communities. Managing Director at Create. 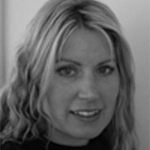 Owen is a Brand Consultant, Speaker and experienced graphic designer. He specialises in brand positioning and graphic design, particularly in corporate identity, website design & development and corporate communications. He is a prominent member of BNI (Business Network International) and the Referral Institute, two of the world's largest networking associations. Jeud is Director of PitchAdvertising specialising in pitch advertising and sports ground advertising. She helps clubs and associations improve their revenues through advertising and maximising the value of their assets (Turf printing, Pitch advertising, Banner advertising etc). The roadshow will take place at the Clarion Hotel Dublin Airport on the Saturday 08th June 2013.